Running a household and keeping it neat and well – organised requires a lot of free time and precision otherwise the desired results might not be achieved. Our professional maids have acquired all the skills needed for making your home spick and span in no time. 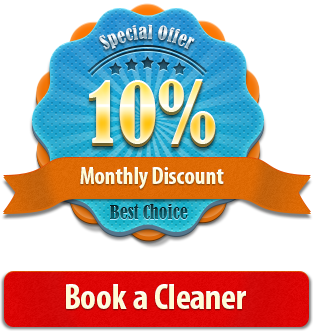 Although they are experienced enough, you are the one who knows best what needs to be done so you are given the chance to adjust the domestic cleaning package in accordance with your preferences. Feel free to include all the challenging domestic cleaning tasks in a checklist, discuss the frequency of the cleaning visits with our call centre representatives, get your free quote and enjoy the ideal cleanliness and freshness once the service is delivered. Simple as that. If you are so busy that you barely spend a couple of hours per day at home, you can just provide your maid with a spare key. They will come and clean while taking utmost care towards your valuable possessions. Forget about the laundry, ironing and dusting. Enjoy your free time indulging yourself in a favourite activity. It’s inexpensive, efficient and hassle – free. There is always someone prepared to provide you with a solution to your domestic cleaning issues. You just have to get in touch with us and inquire a top quality cleaning visit on weekly or fortnightly basis. Don’t miss the opportunity to live in a cosy and healthy environment that would increase your productivity and put you in a better mood.